A sore, swollen, or raspy throat can interfere with your ability to eat, speak, or swallow with ease. Many patients think these are simply uncomfortable symptoms of a cold but laryngopharyngeal reflux (LPR) is another likely culprit. During a consultation at his Long Island, NY, practice, Dr. Michael S. Cohen can give you a formal diagnosis and prescribe a treatment that provides long-term relief from your symptoms. The effects of LPR are subtle but often unpleasant. Caused by gastroesophageal reflux disease (GERD), LPR occurs when the sphincters designed to keep your stomach acid in your stomach fail. If acid reaches your throat, the condition is referred to as LPR. Acids can even damage the larynx in the throat, triggering irritation and laryngitis. 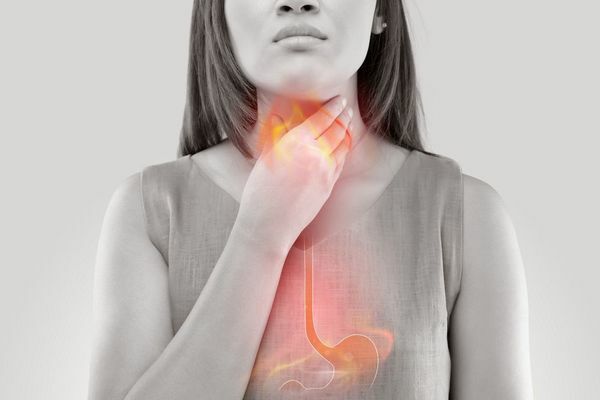 LPR is often called the silent reflux because many patients do not experience obvious symptoms, like the burning sensations patients with GERD often report. When left untreated, LPR can also lead to more complex issues such as ulcers or masses in your throat. It can also scar your voicebox and worsen other health conditions like asthma. Age: The disorder is often seen in older patients. Diet: Patients who eat excessive amounts of spicy, acidic, or fatty foods are more likely to experience the effects of LPR. Obesity: Being overweight can worsen reflux disease. LPR is also much more common in infants who have underdeveloped sphincters and spend much of their time laying down, which makes it easier for acid to move into the throat. LPR treatment is safe, effective, and can help you prevent the onset of more serious health problems. To determine whether you have LPR, Dr. Cohen will review your medical history and conduct a physical exam with an endoscope to identify signs of irritation in your throat and voice box. In some cases, he may also perform additional testing such as a swallowing test or esophageal pH test. These not only allow the doctor to prescribe the most appropriate treatment, but can also rule out more serious conditions such as cancer. Fortunately, most LPR cases do not require medical care and can be alleviated with simple lifestyle changes. Reduce your intake of acidic or spicy foods and avoid caffeinated beverages such as coffee or tea. By following a blander diet, you can minimize the effects of LPR. Do not smoke or drink alcohol, as these can increase your chances of LPR. Also, because stress has been linked to this disorder, practicing stress management techniques can also reduce its effects. Over-the-counter medications such as proton pump inhibitors, H2 blockers, and antacids often alleviate discomfort. As with any medication, you should only take these as prescribed by Dr. Cohen. If you have a severe case of LPR that does not improve with conventional treatments, surgery may be the best treatment option. Fundoplication surgery produces reliable results for patients with severe LPR. Combined, dietary adjustments and an active lifestyle can help you maintain a healthy weight and reduce your risk of the disorder. Seek out your doctor for an evaluation as soon as possible to alleviate your discomfort. LPR treatment is safe, effective, and can help you prevent the onset of more serious health problems. Dr. Cohen treats both children and adults and can design a custom treatment plan that helps improve your quality of life. To find out whether you have LPR, schedule an appointment at (516) 921-6780 or by contacting us online.